Feb 2 - Added list of profiles page. Jan 4 - VC-5 added. New profile. Aug 1st - VU-4/VC-4 added. The Chance-Vought F-8 Crusader was the last true gunfighter to see service with the US Navy. A truly classic airplane, the Crusader was the first supersonic carrier-based fighter in the world. It earned the admiration of its pilots and represented an era of its own. The purpose of this site is to present the Crusader and to honour the men who flew and maintained it. In these pages you will find information about the aircraft itself, the units that flew it and the operations it participated in. The other purpose of this site is to present my Crusader artwork. 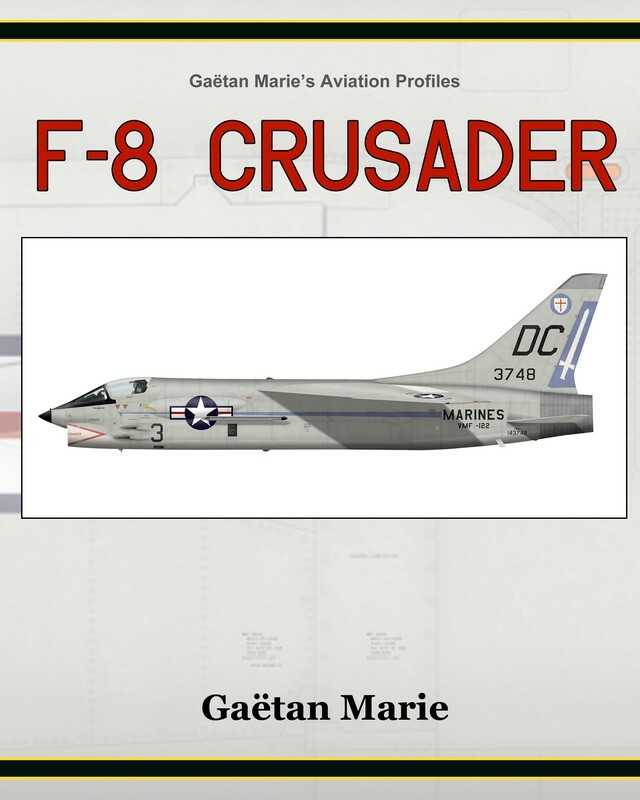 High-quality prints of the Crusader can be ordered directly from the website. If the Crusader you are looking for is not available, it is also possible to commission prints. A book and an e-book depicting the colours of the Crusader is in the making and will be presented here when ready (probably in late April or early May 2010). Last but not least, I would like to invite pilots, mechanics, engineers and other people involved in flying the Crusader to share their experience here. If you have memories, stories or any Crusader-related anecdote that you would like to share, please contact us. I hope you will enjoy reading these pages as much as I have enjoyed creating them.